Data gathered from almost 1 billion emails throughout the 2015 calendar year, have been compiled by MailerMailer in their sixteenth Email Marketing Metrics Report. The report is comprised of colorful, interactive charts and text, and can be accessed on the MailerMailer website. MailerMailer just published their sixteenth Email Marketing Metrics Report. This report, which consists of colorful, interactive charts and engaging text, can be accessed on the MailerMailer website. Email marketers use the findings within this yearly report to understand current benchmark statistics and make better choices with regards to their own email marketing campaigns. The data in this year's report was collected from almost 1 billion email messages, comprising 49,000 campaigns sent between January 1, 2015 and December 31, 2015. Metrics such as open, click, click-to-open, and bounce rates were measured across 29 different industries as well as cross-sectioned with data related to scheduling, personalization, and subject lines. Both halves of 2015 produced higher open rates than their respective halves in all previous years. In 2015, the average open rate for the second half of the year exceeded that for the first half of the year — a trend not observed since 2012. The average click rate for each half of 2015 increased compared to those of 2014. During 2015, recipients opened and engaged with messages more at the beginning of the workweek and less during the later part of the week through the weekend. Subject line personalization had an adverse effect on message performance during 2015. The most commonly used subject line words within 2015 related to savings or time-sensitive information. Messages with medium-length subject lines yielded the highest average open rate, but messages with longer subject lines claimed the highest average click rate. As trends change, email marketers must refine their strategies based on the research and reports available to them, as well as their own testing. "Our goal is to provide organizations with solid benchmark statistics and clear evidence of industry trends so that they can make informed decisions about their own email marketing strategy," says Raj Khera CEO and co-Founder of MailerMailer LLC. Founded in 2001 by Raj Khera and Vivek Khera, MailerMailer provides an award-winning email marketing service. MailerMailer lets customers create professional-looking newsletters in a matter of minutes and then track their success with advanced reporting. A free trial of this service is available now at http://www.mailermailer.com. MailerMailer also offers a service called Presstacular. With Presstacular, customers can publish their IT marketing newsletter and blog instantly using a library of pre-written articles. Over the years, MailerMailer has earned several awards. These include, among others, Stevie Awards for both Content Integration Product of the Year and Computer Services, the Apex Award for Publication Excellence, the Magnum Opus Special Recognition Award for Outstanding Achievement in Custom Media, and the International Academy of the Visual Arts Communicator Award of Excellence. 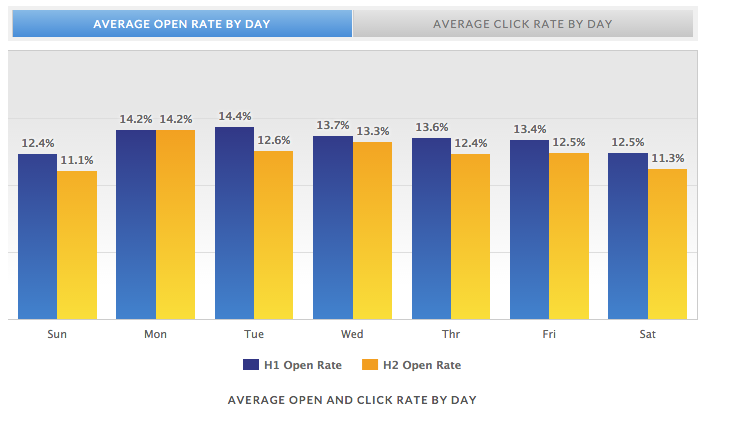 A Chart of Average Open and Click RatesThe Email Marketing Metrics Report contains both text and colorful, interactive graphics.